If you have a room in your Rockville Centre, NY home or commercial space that you would like to be more climate-controlled, but where ductwork installation is a concern, then you might want to consider ductless heating from T.F. O’Brien. For spaces where ductwork is impractical, or maybe even impossible, ductless heating is an option that can help. 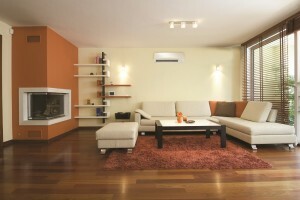 Ductless heating is highly efficient and keeps spaces without ductwork just as comfortable as those with. Usually, ductless heating is used in a single space but there are multi-unit options available as well. Besides being used in spaces that don’t have ductwork, ductless heating systems are also a great option for balancing our hot and cold spots in your Rockville Centre, NY home or office, increasing the energy efficiency in the surrounding spaces, or providing precise temperature control in spaces that require climate control. Because they mount directly on the wall or ceiling, ductless heating systems are made to blend with virtually any décor. When you choose non-obtrusive, quiet ductless heating over a space heater – which can be loud, cumbersome, and sometimes dangerous if improperly used – you’ll notice better comfort in your room. Trust T. F. O’Brien with the ductless heating needs of your Rockville Centre, NY home. If you think ductless heating sounds like a great option for your Long Island home or business and would like to find out more, T.F. O’Brien is ready to assist you. T.F. 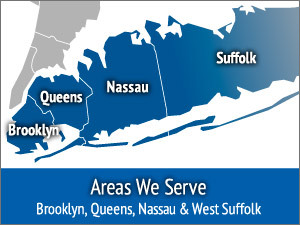 O’Brien proudly serves Rockville Centre, NY. Simply call us at (516) 488-1800, and we’ll tell you about the different options for ductless heating and help you find the solution most suited to your needs.